It's simple: The minute Vikings coach Mike Zimmer says Case Keenum is the starter, period, he will stop getting asked who's the starting quarterback. One of the most amusing and yet frustrating parts of the Vikings’ quarterback situation over the past few weeks is the preponderance of e-mailers and social media followers who keep suggesting that any dilemma in a decision between Case Keenum and Teddy Bridgewater is solely a media creation. Actually, there are tons of great things to talk about with this 9-2 team. But the QB situation is fascinating. I’m going to keep babbling because it’s pretty simple: The minute Vikings coach Mike Zimmer says Keenum is the starter, period, he will stop getting asked who is the starting quarterback and it will get less interesting. Keenum now has posted three of the 10 best games of any QB all season in terms of Total QBR. But a long-term QB question still exists — one perpetuated by Zimmer and reported on by the media — presumably because 1) Zimmer doesn’t need to make a definitive decision, 2) Bridgewater looks amazing in practice, 3) Zimmer thinks going week to week keeps Keenum motivated … or any/all combinations of those reasons. 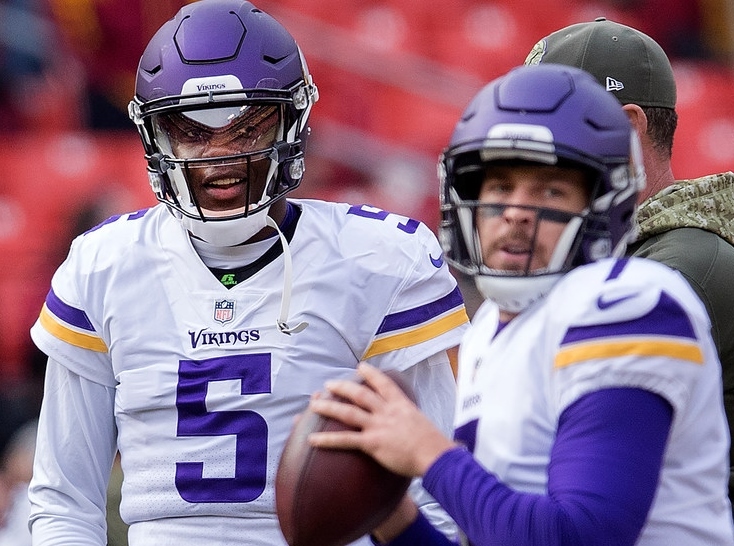 The Vikings QB conundrum is unusual, to be sure, but it’s not imaginary. The one person who could put it to rest simply has not done so.